Trim-Endous is a diet drug that is available on the over-the-counter marketplace. That is, it can be purchased without a prescription. That being said, it is always advisable to speak to your doctor before beginning the use of any weight loss medication because there is always a risk of conflicts with other drugs being taken, or medical conditions that can be worsened through various innocent-seeming ingredients. The ingredients included within Trim-Endous diet pills are mulberry leaf extract, citrus aurantium extract, cassia seed extract, coicis extract (concentration not revealed), and medical amylum (starch). Considering this ingredients list, it is important to note that there is a concern that is often mentioned among experts about citrus aurantium extract, which is also known as bitter orange. The Mayo Clinic has published a report regarding ingredients that are commonly found in weight loss medication and it lists citrus aurantium among those that it would not trust. Though the claim is that this ingredient will help to burn calories more quickly, the Mayo Clinic says that there have not been enough studies to provide any evidence to support this claim and that the ingredient may, in fact, be unsafe. Therefore, people considering Trim-Endous or any other diet drug containing bitter orange, also known as citrus aurantium extract, should be very wary of this ingredient and may think twice before exposing themselves to its effects. This is another reason that it is very important to speak to a doctor before taking a diet drug such as Trim-Endous. The primary ingredient in Trim-Endous diet pills is mulberry leaf extract. There has been more and more research conducted on the effects of this herb on stabilizing blood sugar levels, and so far it appears to have some benefit. By stabilizing blood sugar levels, mulberry leaf extract can help to curb hunger. The last three ingredients contained in Trim-Endous diet pills are all diuretics. Although the advertising states that cassia seed and coicis extract help boost metabolism, there is no clinical proof of this claim. 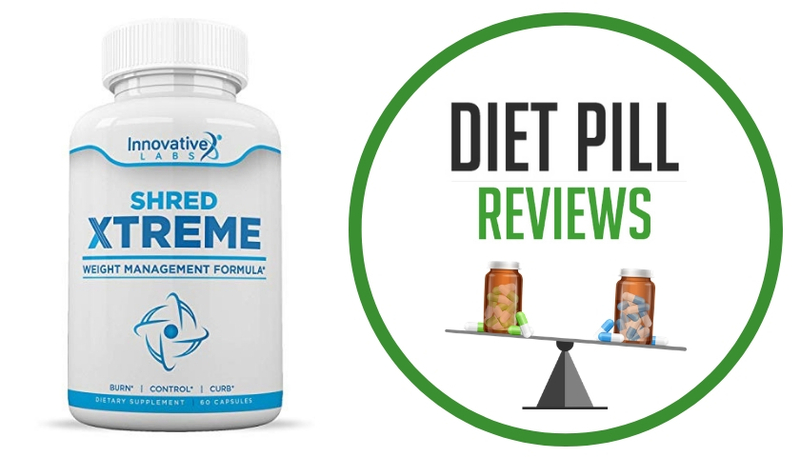 Overall, the formula for Trim-Endous diet pills suggests that this product will act like diuretic diet pills rather than having any real benefit for increasing metabolism or suppressing hunger and appetite. Diuretic diet pills, in general, may cause short-term weight loss due to loss of water weight, but will not help the body rid itself of fat. In fact, most diuretic diet pills dehydrate the body, which actually slows metabolism and slows down the fat burning process. Suggested Use: Most people take 1 pill after breakfast with a large glass of water, but if needed you may increase to 2 per day. You may feel thirsty, slightly nauseous or experience sleep deprivation – not many people experience these side effects, but if you do these symptoms will decrease over a 7 day period. After 1 week if symptoms persist we recommend taking 1 tablet every 2-3 days, once your body has adapted well to the pill, you can take 1 pill each day. Caution: Trim-Endous is not intended for Nursing or pregnant woman. Consult your doctor if you have any of the known medical conditions such as – diabetes, high blood pressure, heart or thyroid problem, apoplexy, cerebrovascular disease, addicted to drug, medicine or alcohol, or if taking anti-depressants. Keep out of reach of children. 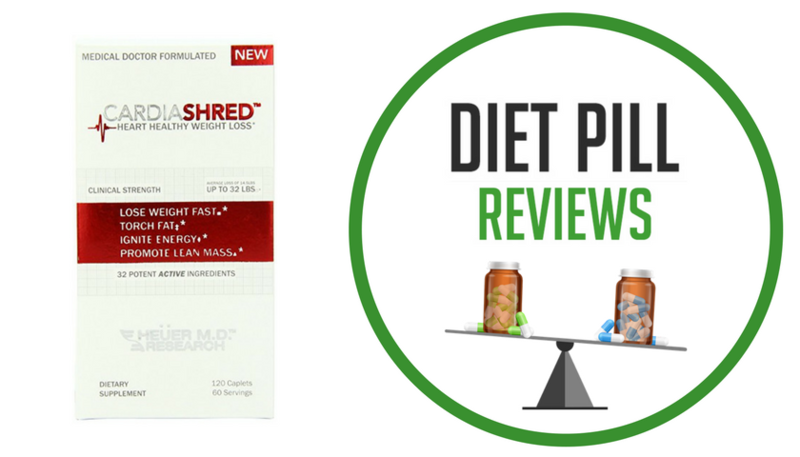 These statements about Trim-Endous diet pills have not been evaluated by the Food and Drug Administration. Trim-Endous diet pills are not intended to diagnose, treat, cure, or prevent any disease. These have been withdrawnthink because contained sibutramine. trim-endous were fantastic and iam gutted that i cant get hold of any more. Sarah – if you also email me, i will be happy to send you some from the shop i work. I was loosing weight at a satisfactory speed on Trim-Endous and have since purchased a bottle of New Image, encouraging family and friends to take them up too. All received New Image and we all agree that they are definitely not the same. I am appauled that they market them in such a way that it could fool people into believing they are indeed the same, which they are not! The ingredients and dosages are completely different, and I’m putting weight back on!!! just to let you no that the ‘new image’ pills that have replaced trim-endous are totally different ingredients and i have been advised by severall friends that the have caused weight gain rather than weight loss! have been trying to find something with the right ingredients but am struggling. New Image are rubbish!!!!! i agree they are not the same as trimendous. Since march i have lost 18lbs taking trimendous combined with excercise!!! They definately curbed my food cravings. The same cannot be said for New Image. Does anyone know where i can purchase a similar product??? Krystal owner of Trim-endous has lied to salon owners and the public. The MHRA has seized all her stock because they contain an illeagal substanse which has been suspended because it gives you greater risk of heart attack and strokes. MHRA HAS VARIFIED THIS TO ME. NEW IMAGE ARE CRAP I AGREE . BUT WHAT IS IN THEM? BE CAREFUL . I AM SURE THE PUBLIC SHOULD BE ABLE TO CLAIM FROM HER BECAUSE SHE HAS LIED ABOUT THE INGREDIENTS !!!!!!!!!!!!!! I’m really intested in your comments and have tried to find out more through MHRA but without success at the moment. Can you provide me with more information? I have mailed the MHRA but my guess is that the tablets formal name was something else. Unsure of the legalities but surely if Trimendous contained dangerous ingredients then the MHRA or Trimendous company would be bound to let all their customers know? Would really appreciate any additional info so I can find out exactly what I have been putting in my body!! a you still selling Trim-endous . i have wrote previous comments and i just want to tell you that we have now stopped selling trim-endous. any emails received will not be answered. thank you. I am so pleased to read all of these comments,as i took trimendous for six weeks and lost over a stone.I felt really well and good about myself.After taking new image, within a week i had put back on half a stone.I emailed new image to ask why they had changed the tablets and was told that “trimendous had gone into liquidation,but these new pills where just as good and they had glowing reports.”I think trading standards should be looking into this company. I am very concerned that Trimendous may have contained an undisclosed substance. I was just about to order some of the New Image but won’t now. There is a woman in Lisburn advertising Trimendous for sale still. I think it mite be the same person who was touting for business on Facebook which is where I first heard of the tablets. She had posted pictures of her ever decreasing (in size) sister. However both the women & the advertisement are absent from Facebook. I would certainly complain to the trading standards if it turns out that the un-named substance was contained in the tablet. Oh my God!! I cant believe all these posts on here!! Me and my housemate have experienced the exact same thing- we took trim-endous and lost a stone each and thought they were AMAZING – but then took these New Image ones and they are AWFUL!! And we have both put on weight and are so gutted!!! PLEASE PLEASE tell me if you know of a similar product we can take….ANYONE??!! There must be something out there!! a similar product trim-right has changed its ingredients probably as a result of the same ingredient and i too have put on weight with the new ones!!!!! time to stop filling their deep pockets with our cash girls!!!! Can you emeil me & tell me where i can buy TRIM-ENDOUS???? Wow, after looking at the comments i can say i am truely shocked. I have been a stockists for these 2 products over the past 2 years. Trimendous flew off the shelves for me i have rung the company today and spoke to krystal my account manager regarding these post that she has been made aware off. I used to stock a slimming pill in the past that got took off the market for selling an illigal slimming pill and the company had to write to me in writing the reason why they were stopped from sale. If you are caught for selling something illigal by the MHRA you will be closed down instantly and you will be forced to send these news letters out. So i dont belive that they Trim-endous manufactour did go into liquidation as im sure we would of had the letter from the MHRA. So i do thionk these comments are unfair that some of you are makiong stating that you have spoke to MHRA and they have told you ‘xyz’. Im sure if the company got busted they would have to stop sale immediatly where as i recall getting a news letter from Trim-endous to say they were being discontinued and to put backorders for stock. Why would they do this if there stock got took from them? It dosnt make sence! I am still selling New Image in my salon and i will be honest with you the sales have slowed down but people are still seeing results from them. PLEASE LET ME KNOW IF YOU STILL SELL TRIM-ENDOUS? I have used Trim-endous for a long time, went to buy more and believed the websites I looked on and brought ‘new image’ tablets. I was immediately suspicious as they were a completely different size and colour! I have spoken to somebody at New Image about it and they say that no where does it specify that the tablets are the same and confirmed they are definately not and therefore will not have the same effects. They also said that they are looking into a new formula (I think they have had lots of complaints) to sell. The lady I spoke to said that the complany who made the trim-endous formula had gone into liquidation; they only brought to formula to sell here. They had to change their name as too many companies were copying. Have absolutely no idea what to believe – I just want some more of these tablets! I got a sample of ‘Extra-lean’ slimming tablets at my local tanning salon and on the packaging it says ‘trim-endous’ NOW says they’re the same ingredients as trim-endous so if you want to check them out the website is extra-lean.com. I havent even tried the sample,wanted to review them first but hope this helps some of you who are trying to get more ‘trim-endous’ tablets! Right just to clear things up – I was the first person to inform the MHRA about these pills and yes they do contain Sibutramine! Here are the emails to prove it. If anyone is silly enough to not believe me they can ring them themselves and ask to speak to Dave Goth who has been dealing with this. Just because folks are still selling them in their salon – doesn’t mean they are ok. Where on earth are you getting them from – or are you just selling old stock? No-one should be selling these pills – they are made in China, shipped over here and contain an illegal and undisclosed ingredient – people must be mad to even think about carrying on selling and using these! Carry on at your own risk! The MHRA will be very interested to know about Extra Lean and the salons selling it. In light of the below information provided, the referral has been allocated to Dave Goth for investigation. He will contact you in due course if any further details are required. I can tell you that the owner of Trim-endous has been formally interviewed concerning the importation and supply of the product Trim-endous which contained Sibutramine. How she is dealt with is yet to be decided which may be prosecution or a formal caution. The propreitor of Kutz International has also been interviewed and has been dealt with by advice and warning. i was wondering could trim-endous prevent you from having children? if you are having trouble conceiving and you’ve been taking these diet pills then the i would suggest you discuss this with your doctor. if the illegal substance claims above are true, then who knows. ask your doctor if taking sibutramine can interfere with fertility. I cant believe the furore this has caused!!!! Its darn sad when some many people scream ‘boo hoo I put weight on’ and blame it on every other possibility and nicely exclude the fact. Its a scientific and undisputed fact too much food inttake equatesin weight gain. If you put X amount of calories in to the body and dont burn them off in daily activity, it will store as mostly fat and one will get heavier. More than 2 lbs a week is not fat loss it will be water and muscle loss included weight loss over approx 2lbs a week. So if you crash diet lost half a stone in a week, most of that will be because your body has no food in it and the rest will be water and muscle and two pounds of fat, if your lucky…. Watch the biggest loser on TV they show you how to do it.. diet and exercise and time. Lastly if you starve your body can hold weight and wont lose it.. google starvation diets… so diets under 1200 cals a day are neither good, your metabolism slows down and makes it harder to diet. Trim-endous are back! But are these tablets going to work? Hmmm I let u all if I see any results.the Werid thing there is no telephone number for the website address just an email contact info. I have emailed but no response! Is any other salon selling them? I contacted trim-endous requesting specific information as to the content of there re-launched drug, having been conned by the rip off trim right. Not had a reply which I can only asssume means they are the same ingredients as Trim right.. just re-launched under the old name. I’m Not going to waste my money again.. I also tried extra lean which did not have any effect at all. Apparently Trim-endous are back!! iv just checked and their official website are claiming to be back in business! will be trying them to find out if their as good as before! I did a search for the trim-endous tablets and it came up with the relaunch details. I ordered and paid for some only to find that what they actually sent me was a bottle of New Image tablets. These are completely rubbish. This is the second time I have clicked onto a link that came up with the trim-endous picture and the trim-endous details including a list of the ingredients but both times I received the new-image pills which are totally different. I will be reporting this to the trading standards. hi Lea they do not have the same ingredients at all i have the card that they sent me with the first lot of trim-endous and have checked the ingredients on both and they are totaly not the same . 8st13 today, will update you next week after taking a full week on the old trimendous. I used trim-right (which contained the same ingredients) and they were amazing, lost 2 stone so easily and had so much energy! When i went to order again a while back they were having problems and i tried the new ones and trim-endous aka new image and they are AWFULLLL!!! The changes in ingredients has gone across the board and they DO NOT WORK! If anyone knows another post it! While clearing out our stock room, i found a pack of 6 OLD Trimendous. Could someone please advise what to do with them legally?..Clients are not happy with new products and I refuse to stock them. I received no notice regarding illegal substance,but I do not question that it’s withdrawl from the market raised a few eyebrows. I have spoke to several clients who were regular users of the old trimendous, and know the implications of taking trimedous… everyone wants a replacement for the old trimendous. What do i do with the 6 tubs.. do i sell it to those clients who know and still want it??? Hi penney i will very happily by all the Trimendous off you ,if you would be so kind to sell them to me i took them and i was fine on them and would love to be able to get more . Penney, i’ll buy all 6 tub from you. i brought the new trim endous only to find they are the same as new image. Do NOT buy the tablets on the trmendous site, they are simply new image being bottled up as the old trimendous….I was tricked into believing the old trimendous was back, therefore clicked on a link and as a result I am 29.95 dowm…Rip of merchants!!! trim-endous were great all the other tablets that a said to be the same a crap i lost a stone in 1 month and i felt great let peaple make there own mind up what on what they take for god sake no one died on them. WHAT IS THE ILEGAL SUBSTANCE . I have been using them now for over a week, and lost 2 pounds. I think they are definitely not as strong as the first batch. I agree if I we want to take them then we shopuld be allowed too – yes there is risk but crossing the road is risky too – I just wish people would mind there own business and not spoil it for others, if anyone knows of any tablets that are as good as Trimendous please let me know thanks. Hey All, has anyone been able to find any trimendous, ive been searching everywhere! Hi, I was taking the old trim-endous and had fab results but now can’t get hold of them because if the stock seizure. I was reading on the Internet about Transformulas Waistline (original) apparently these have the same ingredients as trim-endous. Has anyone tried these? Are they any good? Im confussed as i have bought Trim-endous last week two bottle + 1 free and i recived the old Trim-endous the website i bought them from is trim-endous.com. Had the old trim-endous and lost a stone, bought new image, rubbish, put weight on. Have just bought a bottle of trim-endous again on trim-endous.com. They are just new image in a container with trim-endous sticker copied onto the container. They are rubbish, didn’t lose any weight at all. DO NOT BE CONNED INTO BUYING THESE. has anyone actually tried the new trimendous? do we know if they actually work or if they are infact new image in a new bottle? I hae just emailed trim-mendous as they claim they are the same as the old ones which were amazing. Just to let you know I have tried the new image which were a waste of money, I have also tried the trim-right and they were also rubish, if any of you have tried the new batch of trim-mendous could you please advise if they are any good? well, i emailed trimendous to check if they were the same as the old ones as i lost all the weight i wanted on those but have since put it back on trying out new image, i got an email back saying the average weight loss is 9lbs to 1 stone in a month, i have emailed again to ask specifically if they are the same as the old trimenous or simply new image in a new bottle, have been waiting over a week for a reply, nothing to date…. I have lost 1/2 stone in 3 weeks from trim-endous i bought them at the beginning of febuary but they didnt arrive til 1 week later. So in effect i have been taking them 3 weeks. dont try the new trim-endous their just new image in different packaging & are nothing compared to the old batch. Has anyone tried any new slimming tablets which they’ve found to have worked? Look up the diet pill Lose-it which is for sale on e-bay they sound like the original trim-endous, i have used lose-it for one week and lost half a stone. I have purchased a trial sample 7 days of Trim-endous (no caffiene) and 7 day Lose- it (no caffiene) I have been advised to take one tablet each day and alternate. One tablet is more of a diuretic so I have been advised to up my water intake. I took Trim-endous last night to begin with and yes they are a diuretic. I have today taken a Lose it. I weighed myself this morning Tuesday and will weigh myself next Tuesday and the following one after that. I am also following a calorie controlled diet and I will be in the gym at least 4 times per week, with two hard spinning classes included in that. I will be back next Tuesday with honest opinion on both of these. I would be very careful about using lose-it, im sure its the original trim-endous, can cause stroke, heart attack. The weight comes of to quickly. I have not once felt hungry and nor have I felt whizzed up like some diet pills cause. I felt a little sick after taking the initial tablet but that passed. Sometimes you can feel a little dizzy simply because you just dont get hungry or eat. Now I am forcing myself to eat healthy foods more often to avoid this and I plan to give myself more days off the pills now and try to eat healthy. I am not concerned with massive weight loss per week just a slow reduction as I was struggling shifting any weight with deit and exercise. Also due to a car crash back injury I can no longer do my long distance running which I relied on to keep slim and be able to eat loads. I can not stress how much Lose it curbs hunger. I have been going to my spin classes as normal 3 times a week and still with the same amount of energy during the class, but even after working out im not hungry! Before I was taking this I did always feel tired, it seems to have improved the quality of my life as i just want to do more whereas before I could not be bothered. I will call Lose it today to see if they can give me some more info regarding side effects such as heart attacks etc. They do not claim to have any sibutramine in them which was the problem with the original trimendous! I will add update next Week. Hi, was waitin on ur update. i tried lose-it and on 1st day awful headaches and anxiety. i was afraid to try again on day 2. is the pill safe? i did sleep okay but had sudden muscle jerks now and again. i am having trouble finding any reviews on lose-it. where have yo managed to find contact details for them gillmoll? I am interested in reading up on them. i’ve just purchased Lose-it off ebay off your recommendation so will also update & let you know. If your an ebay member have a look at Lose it, & their reviews there’s enarly 300 customer reviews on their service & the pills, I dont see ONE negative response everyone seemed happy with the weight loss they had on them, thats why i’ve bought. Like i said will let you know after a few weeks of taking them 🙂 hope thats helped. I would not advise you take lose it they have an illigal substance in called Sibutrime. If the piis are 100% safe the company who sells them should be able to provide you with the certificate of analysis in which they dont. When i asked for this they got really narky on the phone. Be careful what you take as there can give you long ter damage. How is everyone getting on with lose-it? do they have sub… or whatever in them? i wasnt sure whether to try or leave. it hasnt been withdrawn though as still on e-bay. i’ve lost about 7 pounds on them so far!! deffo suppress your apetite, the only side effects was the first couple of days hard to sleep & twitchy ness of some of my muscles, but i thin that was due to lack of sleep to be honest. really loving them at the moment, will be ordering second batch soon no doubt. How do you know if they have Sub in? whats th side effects of sub? I used Trimendous for ages and lost weight, but whilst taking these I found out I was pregnant, I stopped taking these straight away, and I’m now worried about the bad comments on them, are there any harmful substances in them? My baby is a happy healthy 4 month old now, and I’m looking into buying more to get my weight down to what it should be. Advice please anyone??? have the lose-it tablets now been removed off ebay, i cannot see anything for them or is this the real name? I cant find lose it on ebay??? Hi, has anyone lost anymore on lose-it or had any other side-effects? i cant find them on e-bay and reviews on there appear to have stopped? there isnt any reviews on google apart from here, can anyone advise, are they worth taking for a month? Arabian Secret contain the same ingredients as Trim-endous before they went bust (hopefully without the illegal ingredient.) you can buy them from angel blu apothecary, they ship to all of UK. Yeha they’ve seemed to have gone off ebay?! bizzare. I did lose weight on them, but i also got very twitchy muscles & spasms with them, which can’t be very healthy?! Have you actually tried these Arabian Secret tablets Becki? I have just started takin trimendous, purchased from the website. I lost loads on the old tremendous an new image were crap! Are these just new image in a different bottle?? I’m gonna be pissed off if they are??? i had the lose-it ones off ebay and they were amazing but when i went to re-order they had gone, when i was trying to track them down i came across this and now it seems to all be making sence. They were called trimendous then got reported so changed their name to lose-it then reported again so they have changed there name again. The contact details on bottle and ads are all redirected to the same person. Now i have found the name of them at the mo, i wont put it on here as trading will get hold of it then and these things are amazing i have lost 2 and a half stone in 7weeks i feel amazing!!!! quick question if anyone knows the origional trimendous were the pills like browny powder colour with herbs smell to it? Hi I lost 2 & 1/2 stone on lose its but can’t find them any were could you please tell me the name of the new ones that are the same as lose it? i have ordered the extra lean but they are not the same as the lose-it ones, i was hoping this was going to be the lose-it one under a different name. I would like to know if anyone knows where i can get the lose-it ones from (green tablets) as these extra-lean ones have got trimendous on the leaflet thing thst it came with and i think lose-it was called this previously. The extra-lean ones are brown and smell herby but same style, packageing etc as lose-it, has anyone else taken these and what are they like? Can some one let me know what the new-image ones look like and any other details you have on them, as everyone that has had them has gained weight? I have been taking a green oval tab/cap for 4 days now called Best Slim. I am in Australia and I have not felt hungry at all. However it is 3.30am and I have been up for 3 hours as I cant sleep!!! I have a strange feeling in my head and I want to sleep but can’t I thought it might be the tabs so have ended up on this web site. I think I would lose weight however I need to sleep and have been struggling since taking them. I have been slightly aggitated also in the day but could be due to sleep deprivation – not good for work. What are these new ones Jessica could you please email me their name heb_2001@hotmail.com so it isnt put on here. Have you had any side effects with them at all? Does anyone know what the new-image ones are like e.g size, colour, smell, packaging as i want to make sure the pills i have got now is not them because they make you gain weight!!!!!! CAN SOMEONE LET ME KNOW ASAP!!!!!!!!!!!!!!!!!!!!!! hi tena how are you doing? NEW IMAGE? CAN ANYONE LET ME KNOW MORE ABOUT THEM, SIZE COLOUR ETC? Id just like to make people aware of Arabian Secreat tablets, i started taking them and within half and hour of my first tablet i took a severe reaction to them. I took a panick attack, shortness of breath,shakes, what an experiance, thyat lasted most of the day and having needed to contact the dctor urgently !! this may not be the case for everybody but they do contain 300mg of caffeine equevlant to 9 espresso coffees in 1 go.!! please be careful.i have prevously taken Trim-endous and lost 2 stone in 28 days with none of the above symptoms, so im thinking it must be the caffeine?? who no’s.!!?? I would really appreciate knowing about the tablets you found. I’m an old tri-mendous supporter and have had all sorts of problems with the companies new ones and new image etc – I’ve been so ripped off! I took the original tri-mendous last year and lost 3 stone so easily and with no side effects. Helen – can I email you to see if you found them? There is also extra-lean tablets on that website that contain no caffiene, has anyone tried these & confirm which ones are better without dangerous side effects? 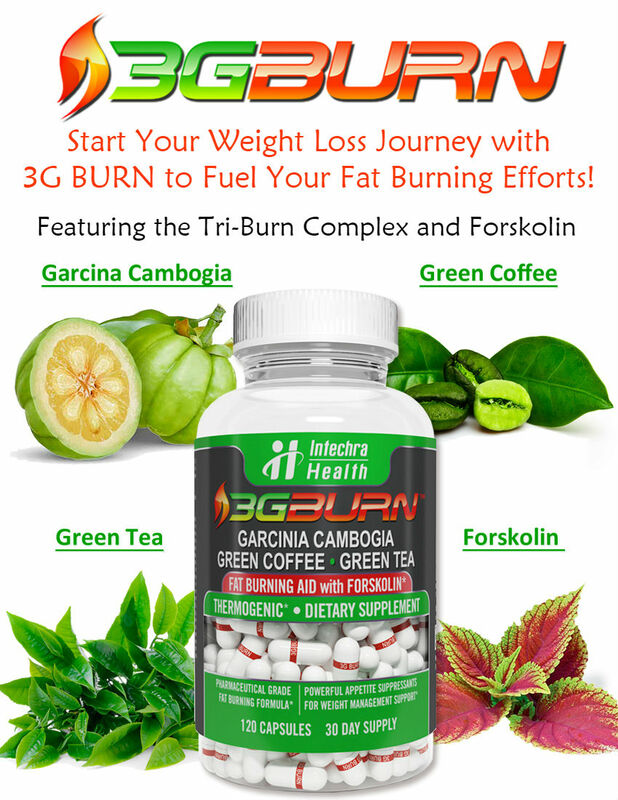 I would really appreciate if you email me the details of the pills that have changed names from tremendous to lose-it to…..
Has anyone tried any other diet pills other than Arabian secret, that has been successful? please let us know! ur all mad willing to risk ur lives over illegal slimming pills! and to the idiot that said don’t complain about them -with all the horsemeat scandal going on at the moment do you not think that consumers have a right to know what is something before they buy it? If I am buying something that is marketed as herbal how dare it be seen as perfectly ok to slip in an illegal drug? better watch what is being said on these boards, all the names of these new drugs with the same ingredients as trimendous will be passed onto the MHRA by yours truly.